What does that mean, the curse of bad writing? Yes, bad writing can be a curse. Why? Written language, a primary means of communication, is a critical skill. But bad writing? That poses a serious, life-long impairment. First and foremost: write what you mean, mean what you write, and do both with unambiguous language, proper grammar, and free of cliches and malapropisms. I’m pretty sure I know that she means she can introduce her students to women writers, the sentence is ambiguous. I wonder, for instance, whose short stories does the journal publish – the Israeli women’s stories or the students’ stories? Yes, I’m being picky but with very little effort, the sentence could be totally flawless. Regardless of how we present the concept, “whom” might be happier in the company of a prepositional phrase. 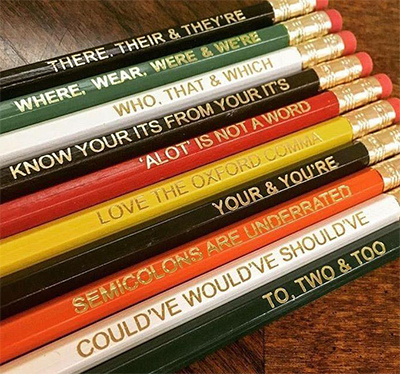 But if we’re not in the mood to dissect grammar’s components, how about striving for clarity, simplicity, and ease of conveying information? That can serve as a helpful guideline? (By the way, note: not, not “irregardless! ).